Decorating your home with artwork can take it from nice and modern to elegant with a hint of luxury. The artwork you choose for your home speaks volumes about you and your preferences. Before you go out and pick the first painting you see, it is important to keep these tips in mind. If you have a large wall in your living room or family room, a large piece of artwork will look nice in the center, especially if you want the painting to be the focal point. While large artwork is nice, it is important that you make sure the room can accommodate a large piece. If you choose to put a large portrait up in a room that is too small, the room will look cluttered and it will draw the wrong attention. While you may think that the color of the artwork you choose doesn’t matter, it indeed does. You want the artwork to pull out colors that make up your living room’s décor. If you have too many mismatched colors, then you pull attention away from the elegance of the artwork. To help you choose the right colors, consider the color of your window treatments, wall color, pillows, furniture, and décor. All artwork should be hung at eye level. If the artwork is hung too low, people will have to look down at it and vice versa if it is up too high. You typically want the center of the artwork to sit 60 inches from the floor. This way, everyone can see the picture without having to strain or stretch to view it. 4. What Is the Picture Of? The content of the artwork does make a difference and it sets the mood for the room it is hung in. For instance, if you have a piece that is centered around people walking through the city, this will set off a different mood than a painting of a beautiful sunset. Of course, choose what you would like, but make sure the content is appropriate and the theme matches your home’s theme as well. Proper lighting around your beautiful artwork can help enhance it and make it luxurious. You do not need bright lights, but you should have soft, ambient lighting to enhance the way the portrait is viewed. If you are looking to create a new look in your home or you need help choosing the right artwork, give the professionals at J. 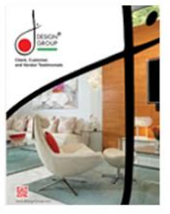 Design Group a call today.